Fatima is 47 years old. 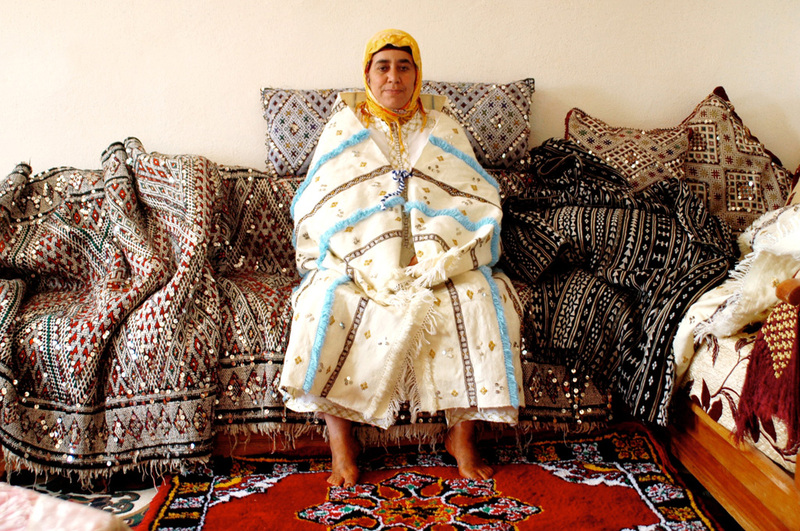 She lives in Ain Leuh, a small village hidden in the Middle Atlas Mountains. 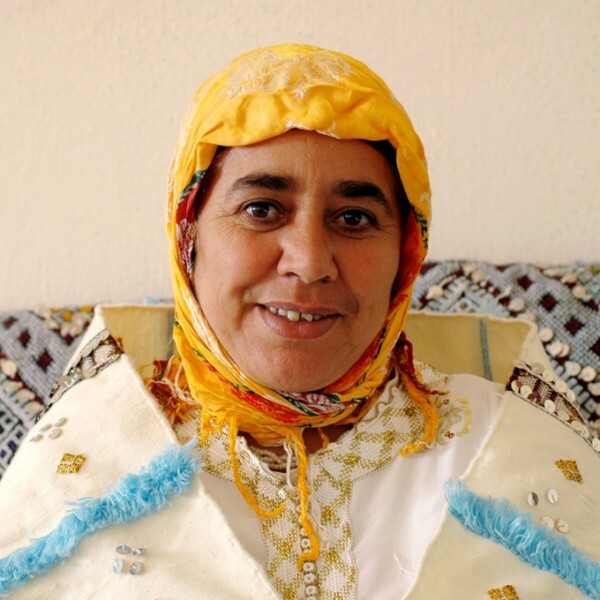 This generous and determined woman has lived her entire life in the area, she was born in Toufassalet and got married in Boudraa. 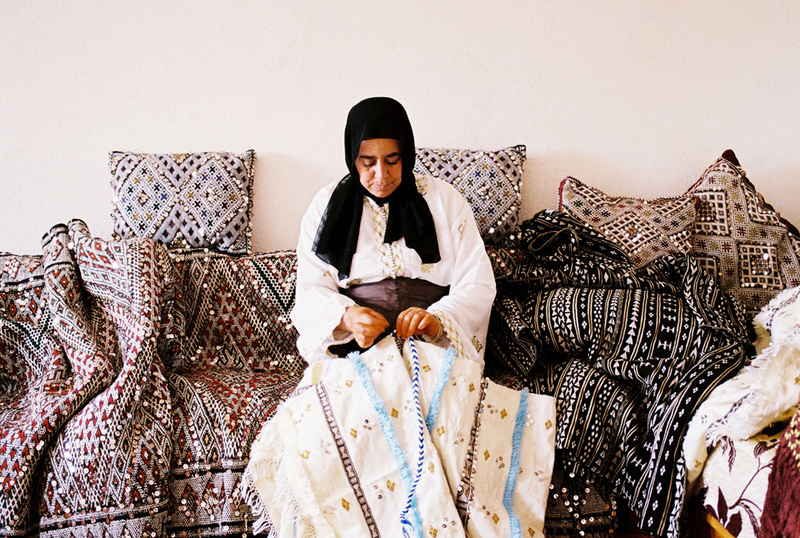 She shows both the pride and deep sense of hospitality inherent to her Berber culture. 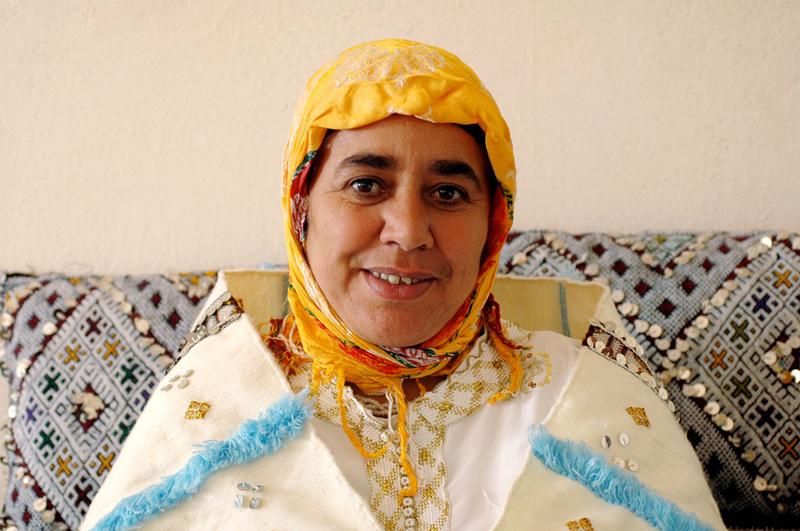 Her husband lives and works in France in Montpellier. They have six children. 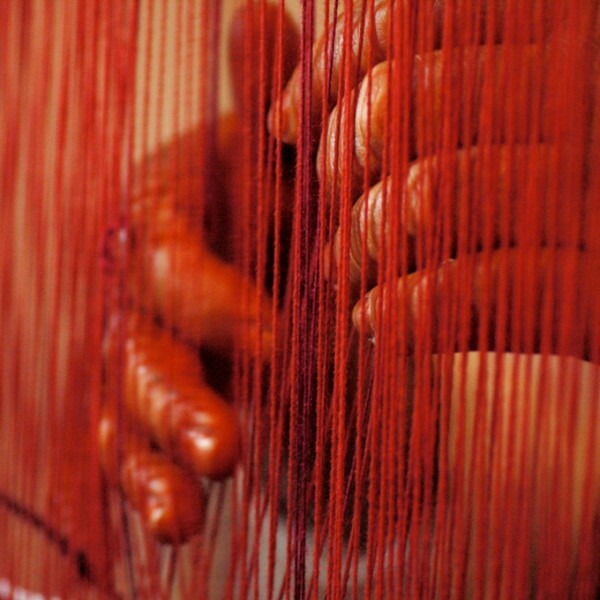 47 years old and an entire weaving lifetime behind her. 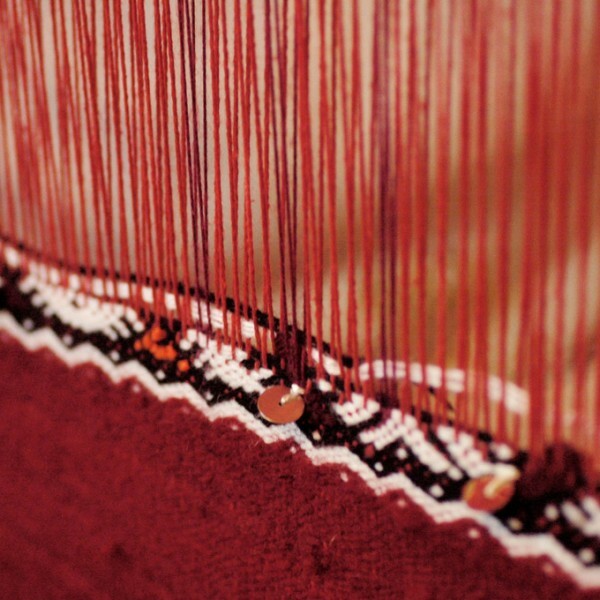 Weaving for her, is like eating or breathing: a vital practice, which began at the age of twelve, when she first learned from her mother. 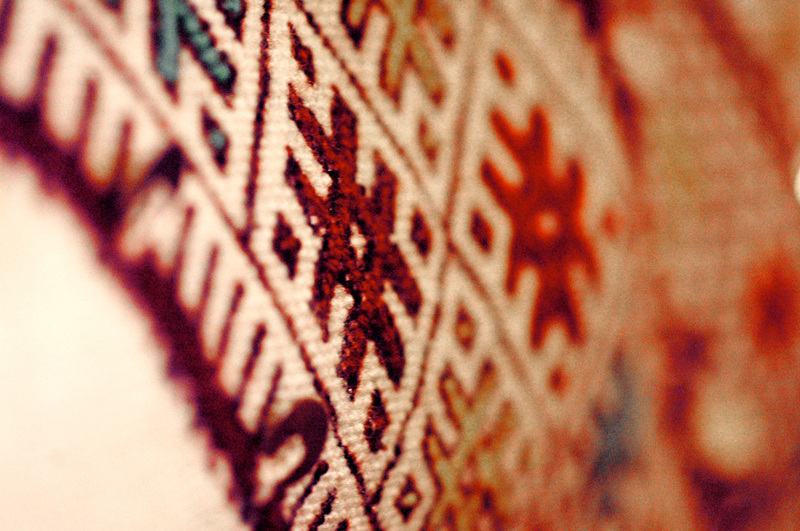 She has a perfect knowledge of the motifs and patterns typical of the tribe she belongs to: the Beni M’Guild. 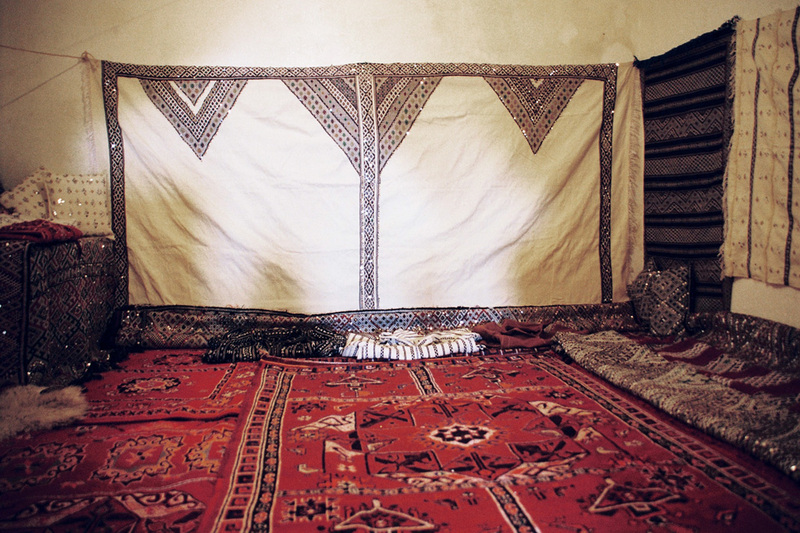 Like her mother did before, she passed on her knowledge to her daughters ; everything at home, pillows, rugs, blankets, has done by her nimble hands. 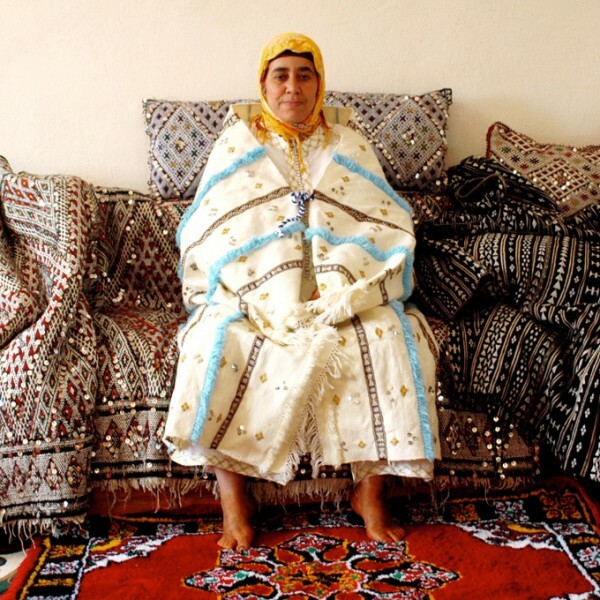 She makes the traditional Moroccan wool coat known as “ burnous” for her husband ; she even makes “ khaïmas”, the traditional Berber tents. 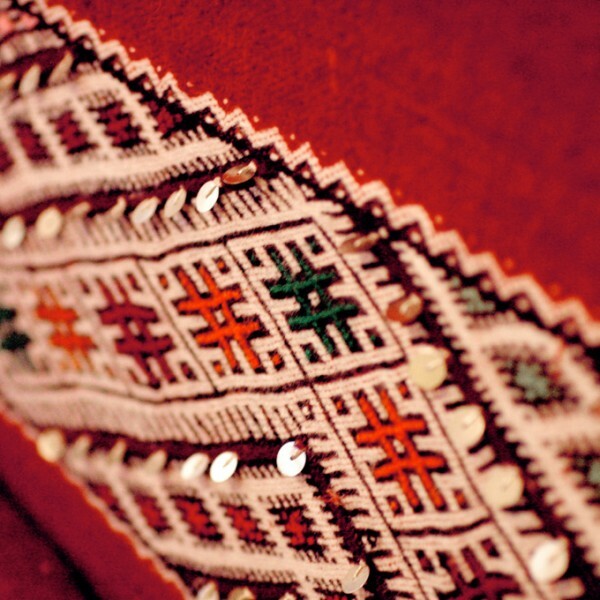 Winters are harsh in Ain Leuh, thus her weavings are made from thick wool yarns which she has previously carded and spun. 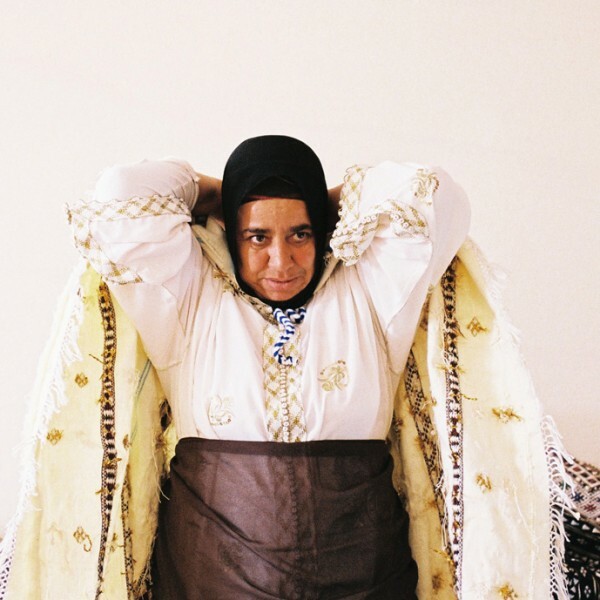 As I was taught by Abdou, from Dar Neghrassi in Azrou, the traditional Berber cape called “handira” is like the identity card of the Amazigh woman. 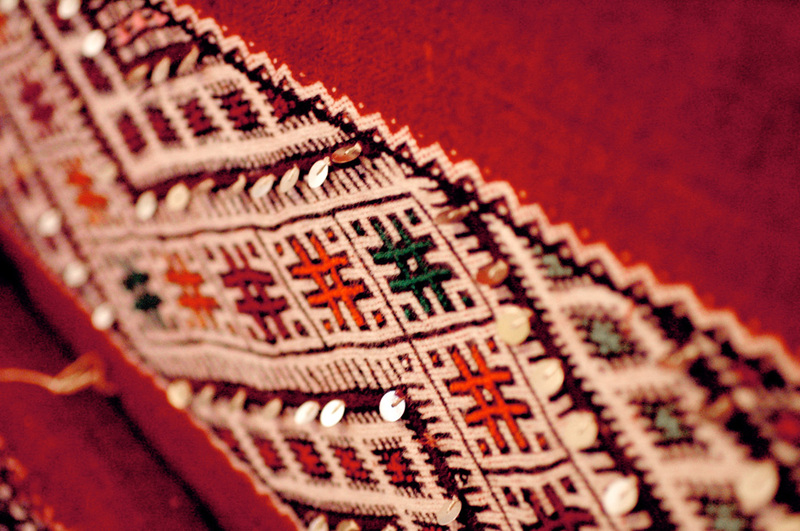 It is adorned with symbols and motifs indicating the origin of the weaver, her family and her tribe. 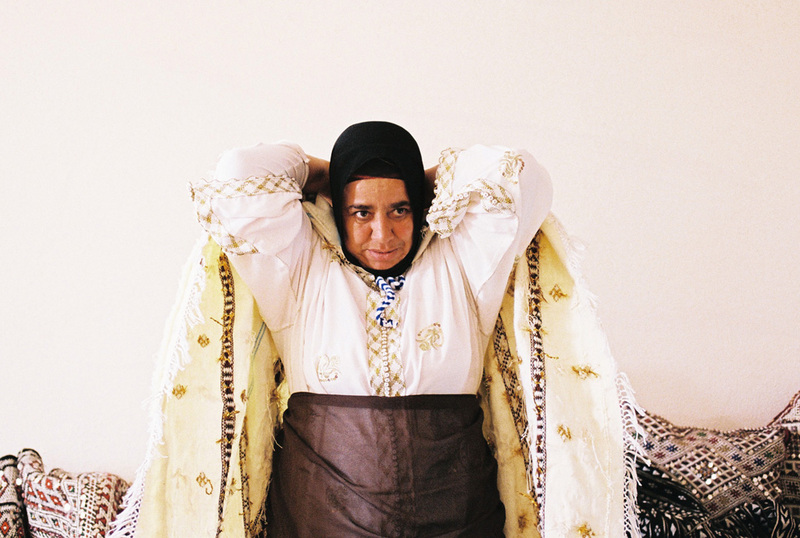 As I watched Fatima methodically putting her cape on her shoulders, with pride and dignity, I realized its value. 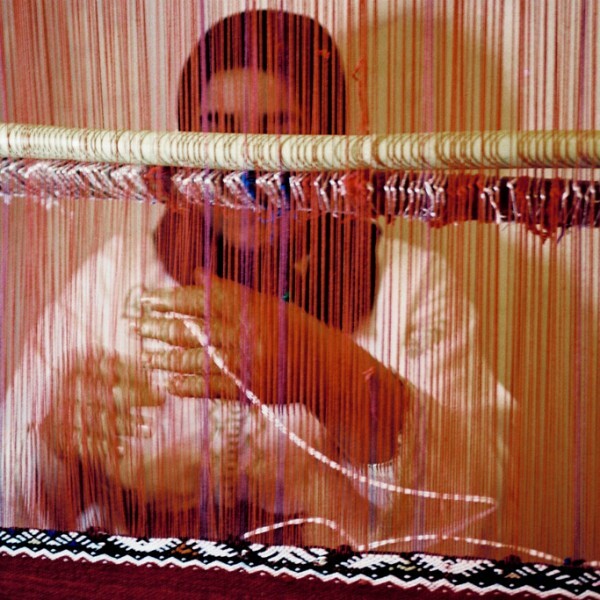 She has woven her own cape at the age of fourteen. 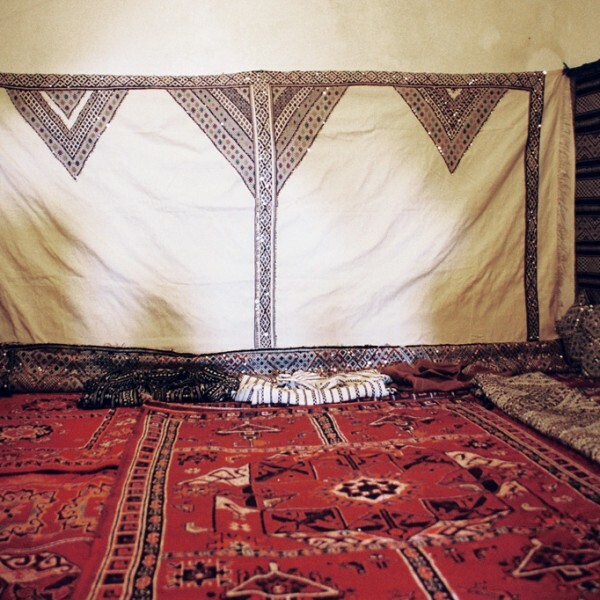 All the textile pieces composing a young Berber bride trousseau are meant to be for an everyday use, but they also have a high value of social representation. 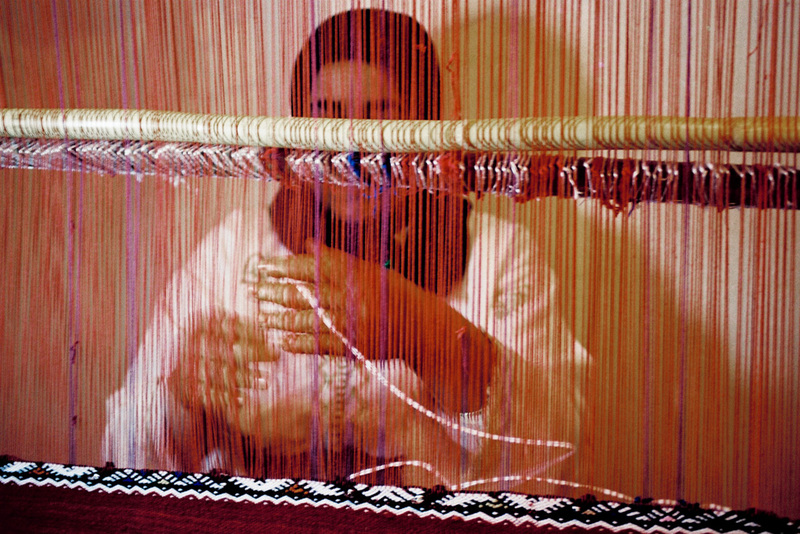 According to tradition, her loom is built vertically. 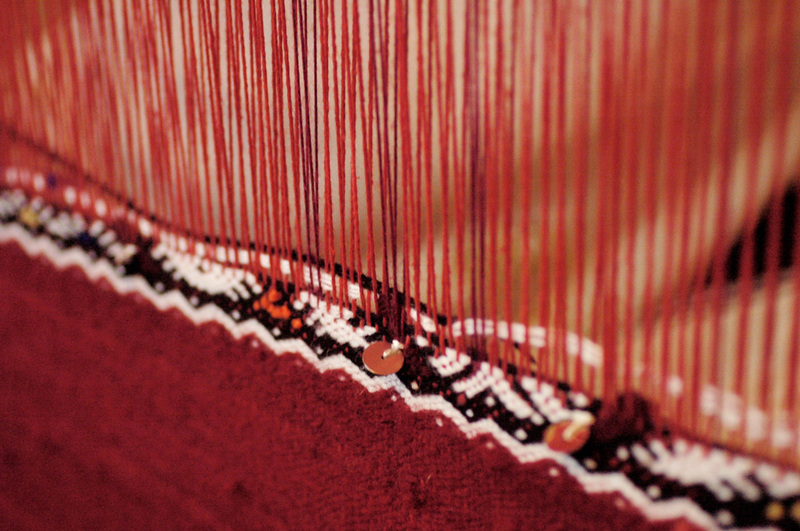 Motifs are woven backwards but Fatima never has a look at what she is weaving until it’s finished, she works by memory. 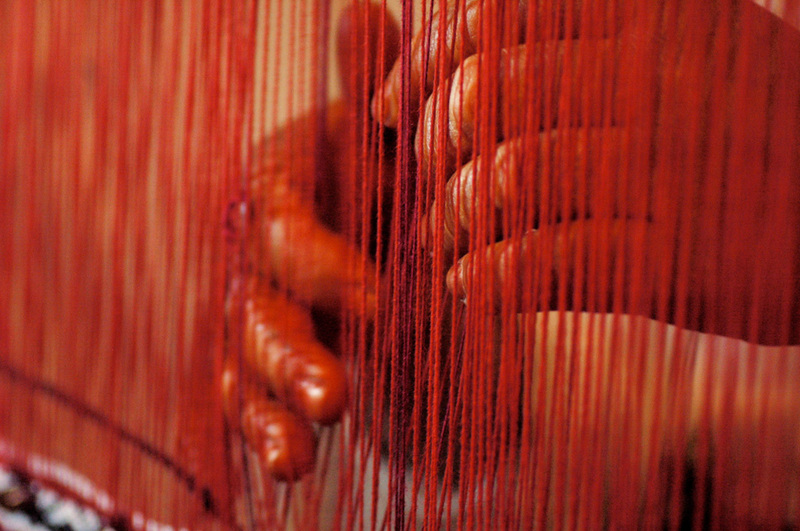 Watching her beautiful hands adorned with henna moving like those of a harpist, putting carefully the weft yarns between the warp yarns to form intricate patterns, is a scene of fascinating beauty. 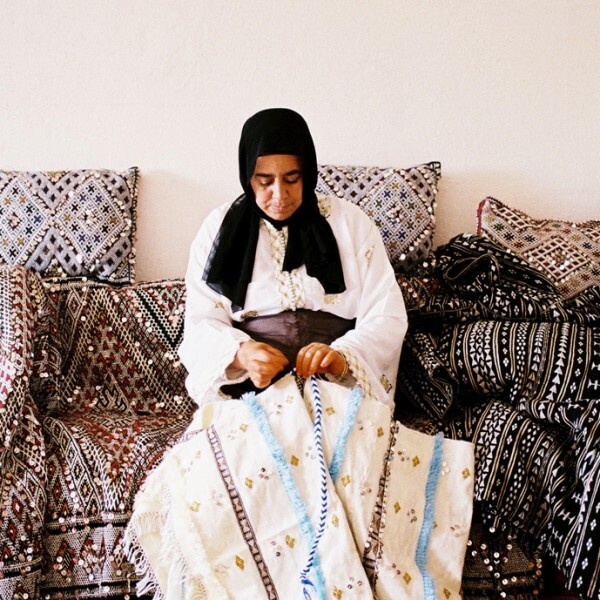 Fatima told me in Tamazight, the Berber language, that weaving is her way to meditate. 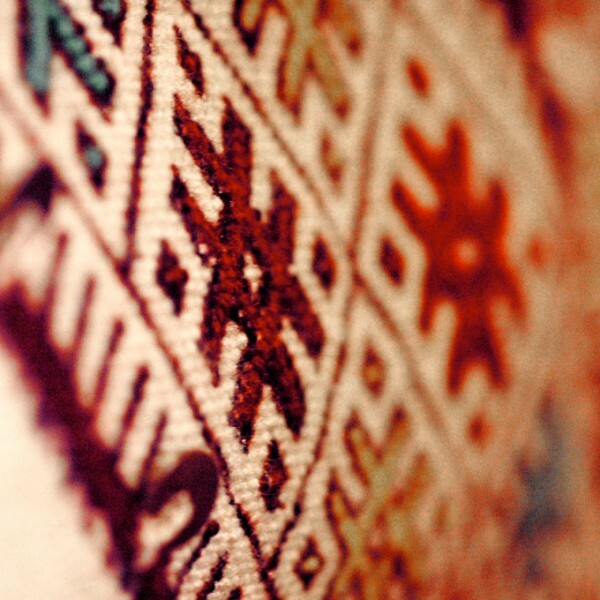 Sometimes she wakes up at night, driven by a sudden inspiration which pushes her to go her to her loom, to reproduce the motifs that have come to her mind while dreaming.